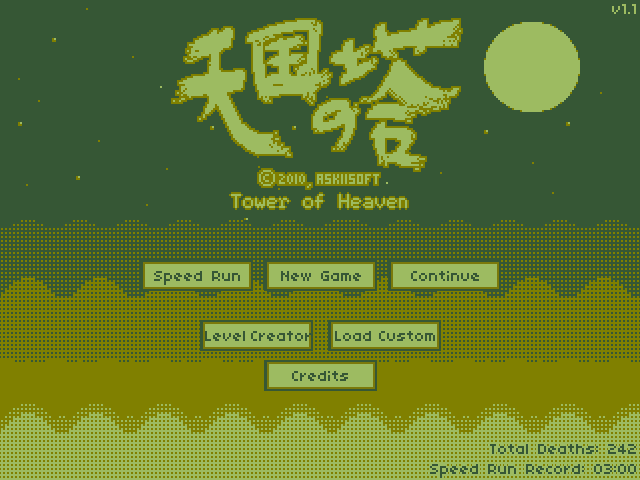 Tower of Heaven is a Game Boy-styled platform game with a great soundtrack that keeps adding conditions for failure. The controls are simple, but it’s easy to get near the end of a section and accidentally break one of the game’s many rules. Take ten minutes and try this out. Since then, they’ve made another game, Pause Ahead, which I want to run blind on my stream soon. Source: Play Tower of Heaven | askiisoft.